Selfridges is great, there’s no doubt about it. And should you have any doubt at all, just watch some episodes of Mr Selfridge. The show is based on the life of the founder of Selfridges and gives the viewer an insight into what it was like setting up one of London’s first department stores. Many people were scandalised by the American and his very American ways and ideas! Just to think, a department store! Today the idea that a department store would be scandalous seems odd. In fact, department stores today are a British tradition. Even if it was started by an American. The shopping experience at Selfridges today is still an experience. And their window displays are as mind blowing as ever. However, sometimes one simply doesn’t have time to stand around gawking at windows, or elbowing (though of course you’d never do such a nasty thing!) one’s way through the throngs of people at Selfridges. Nor does one necessarily have time to wait 24 hours for delivery from their online shop. What to do? Use Pinga, of course! WIth Pinga you can have pretty much anything from Selfridges delivered to your doorstep. That’s right — no need to run across town. Instead, you can just sit back and wait for delivery. This is particularly good if you realised an hour before the birthday party is starting that you forgot to buy a present. Oups. You won’t have time to go to Selfridges and back again while also getting ready for the party, but a nearby Pinga partner will be able to help. Pinga is an app that connects people to services and services to people. Our trusted Pinga partners can help you with anything from buying a gift at Selfridges, to popping down to the pharmacy when you’re sick. As there are no minimum orders, you don’t have to buy half of Selfridges to qualify for delivery either. Just put out a request for what you need and someone will help you out! Pinga delivers any items from Selfridges today. 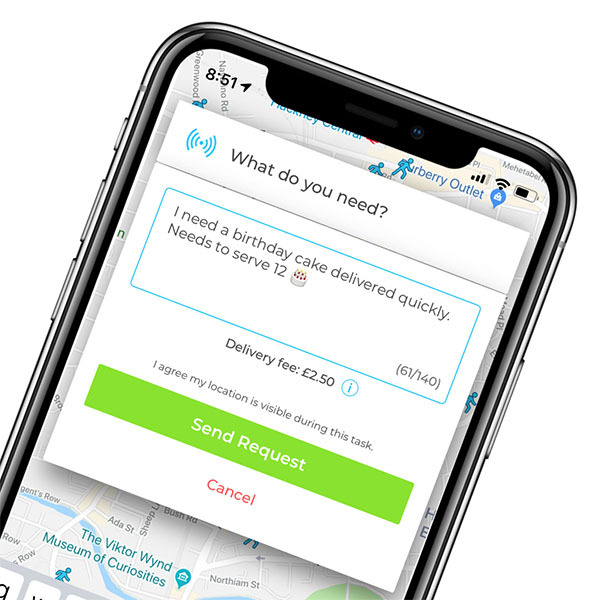 Infact our service normally delivers within an hour, so if you’re looking for same day delivers from Selfridges, send your request via the Pinga App. Describe what items you needs to be delivered from Selfridges and send your request. Pay securely within the app and receive your Selfridges items to your door!